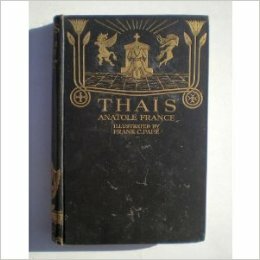 An esoteric novel by the famous french writer. 234pp.+pub.cat. and b/w illustrated title page. Slack ft.bd., some spots of foxing, spine rubbed and faded with small nicks to top and bottom of spine, some lightish pencil underlining and annotation, o/w a good hardback copy in red cloth binding with dec.gt.ft.bd.& sp.